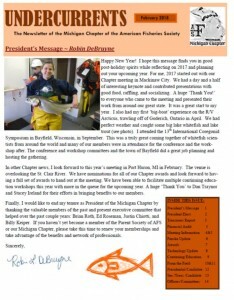 Past newsletters available through the Newsletter Archives. We are working to compile all past newsletters. Do you have old issues (paper or electronic) of the Michigan AFS newsletter that are currently not available through the archive? If so, please contact Justin Chiotti to let us know!